It is a year ago this week that we went to panel and were approved as adopters and matched with Peanut. It has been a remarkable year, she has walked into our family and captured all of our hearts. She has transformed us as a family and we can never be the same again, rightly so. From the very outset of our adoption journey I have been aware that when children come into our family it is not that they join what we are and fit into our lives. 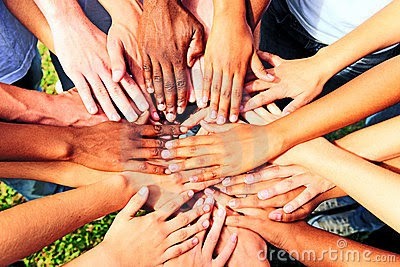 More that we are joined together, adults and children, and we become something new, incorporating both parties. When the big three joined Mrs C, Queenie and I in 1999 that process was a challenge. Our transition from prospective adopters, a family unit of adults, to parents was at times painful. We lost freedoms and choices, priorities altered and perspectives shifted. There were immediate difficulties and challenges, there was a slow transition and lessons to be learnt. We initially acted like carers and babysitters and grew into the role as parents. The Big One, Gracie and Ginger had their own journeys, some quick some slower. Each having to move from being children who were looked after to being daughters and a son. To join Flossy and Lotty to us was a decision we made as a family. But we had to understand that we could not be the same, with them not just bolted on as an afterthought. Everything and everyone would have to change. For one, logistically we would become a big family with all the challenges that would bring. The youngest, would not be the 'baby' of the family. How we spent our time and money would be impacted by the 'joining' of the little two. We would all need to find a new place in this new family. Again the transition was gradual, starting as their Foster Family. We became a new incarnation of our family in our hearts and thinking a long time before the courts and legal system caught up. Then the news of Peanuts birth. We had the luxury/agony of twenty months wait prior to panel and introductions. Yes we're old hands at this but there was no room for complacency. We all needed to shift again, move to a new position, new role, new challenges. Flossy and Lotty have found it challenging and we have had the additional work of assisting them through this transition. So, a year on I feel blessed because I am. Peanut is universally loved and doted on. As a sixth time father I have a perspective on what does and doesn't matter that I wish I'd had as the new adopter. From experience I know which moments, the cuddles and giggles, should be dwelt on. With the Big One being nearly 21 I appreciate that these moments pass by only once and they need to be savoured and cultivated. Over the last 15 years we have evolved as parents and as a family, changing and adapting, and with each addition we have transformed in to a new incarnation, hopefully better than the last. Though I am cautious to say 'never again', as nobody knows the future, I assure you we have no more plans for any additions.